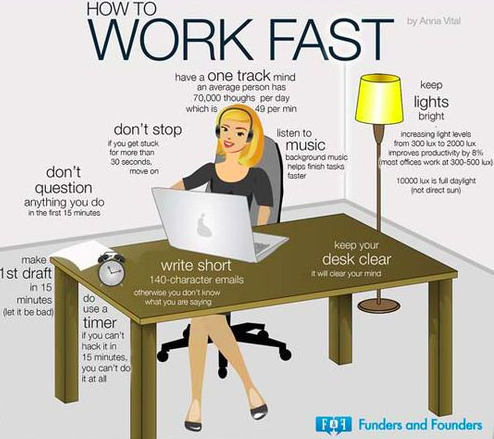 This is from the post 23 Ingenious Ways to Work Smarter, Not Harder. Not bad. I do agree that it’s a good idea to get up and move periodically if you have a desk job. I only have a desk job 1-2 days per week, but on those days I do need to remember to move in some way at least once an hour. 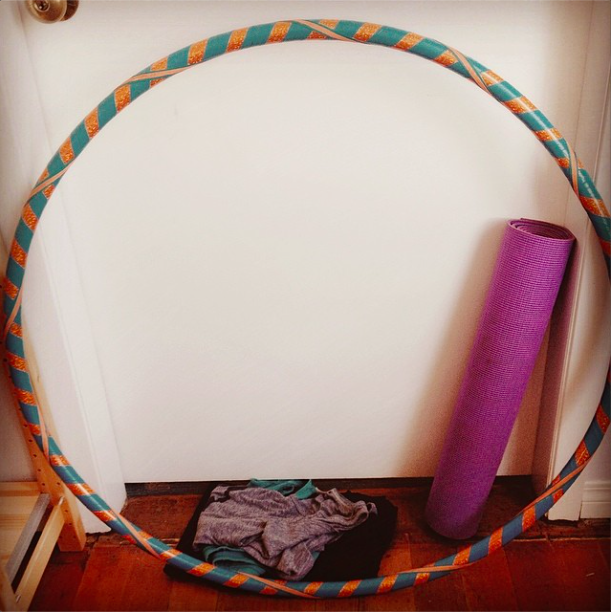 In fact, some days at work, I get up and hula hoop for five minutes every hour. That’s fun! I’m lucky enough to work in an office in a heritage building, with wood floors, high ceilings and large classrooms in which to hoop. I went into work today intending to get up and move every 45 minutes. But then I noticed that between coffee trips, bathroom trips, walking up to the store front to check a product, and searching for my boss to have a quick chat, I was moving far more! I got up and walked around at least every half hour. I do think it’s important to get up and move, and it does help, but this tip didn’t change anything I was already doing. Oh well. It could still be useful for someone else! Maybe try hooping at work! And once again, the dedicated Pinterest board for this series.